Ian Jones Painters & Decorators take great pride in each complete project. Take a look at our gallery today! If you’re looking to discuss your project with a member of our team, get in touch today! We’ll be happy to help you. 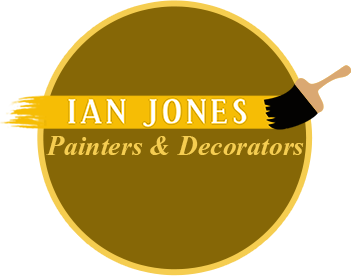 For over 30 years, Ian Jones Painters & Decorators has been providing expert, experienced painting and decorating services from Newcastle-under-Lyme across Staffordshire. From specialist wallpaper hanging to coving and plastering repairs, Ian Jones Painters & Decorators handle a range of painting and decorating projects. Expert interior decorating services for each of our clients across Newcastle-under-Lyme and Staffordshire. We take great pleasure in our services and have completed a vast number of projects for our local clients. When it comes to picking a painting & decorating specialist to carry out your interior or exterior project, we understand that you want to make sure you pick the right company for you! Take a look at a few reasons to choose us. With us, you can expect: plastering, painting, decorating, coving, general repairs, specialist paper hanging, mason work and all aspects of household maintenance. With a great local reputation, as well as several repeat customers, you should call Ian Jones Painters & Decorators today for a free, no-obligation painting and decorating quote. We visit homes and businesses across Stoke, Crewe, Nantwich, Stafford, Congleton and Newcastle-under-Lyme. You can rest assured that your house or business will always be left in perfect order when the job’s done. No stray streaks of paint, no plaster on the floor, just great results and peace of mind. Design your property, plan out your requirements and bring your ideas to life! We take great pleasure in our ability to bring our clients ideas to life, which is why our customers keep coming back to us! With a wealth of experience in a variety of areas, whether it be the full exterior or interior decoration of your property, or a simple painting project, we’re happy to help. If you would like to discuss your requirements with a member of our qualified team, please do get in touch. We’ll work hand in hand with you every step of the way!